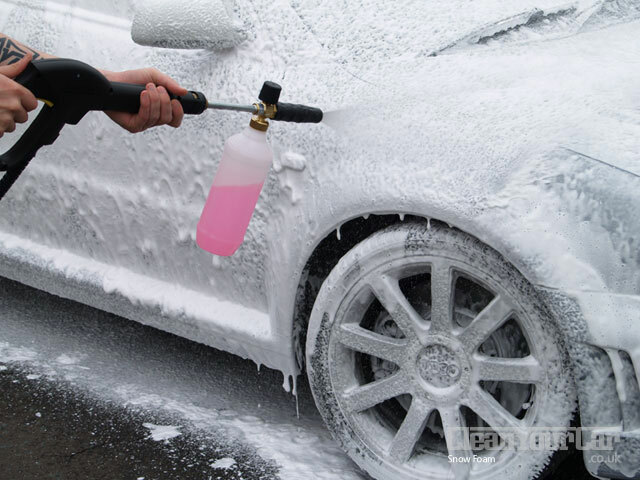 Snowfoam is a particular way of pre-cleaning before washing the car with a washmitt or similar. Snowfoam will loosen up dirt and will move a lot of the dirt when it is rinsed off. 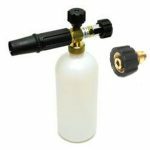 Although Snowfoam can be applied with a special sprayer, it works best when applied with a special snowfoam-attachment on a pressure washer. Rinsing is also best done with a pressure washer. Snowfoam works by being left to dwell which loosens up dirt that can then be easily rinsed off. By rinsing if off and not having any physical contact with the paint, the risk of swirls is greatly minimized. It depends per manufacturer and/or per product, bit in general snowfoam is left to dwell for about 5 minutes. In this time it chemically breaks the bond of fats, loosens of dirt and breaks down grime. When the snowfoam is rinsed off, it will rinse away most of the dirt. A proper snowfoam doesn’t need to be any of these. A pH neutral snowfoam can be just as effective than a acidic snowfoam. 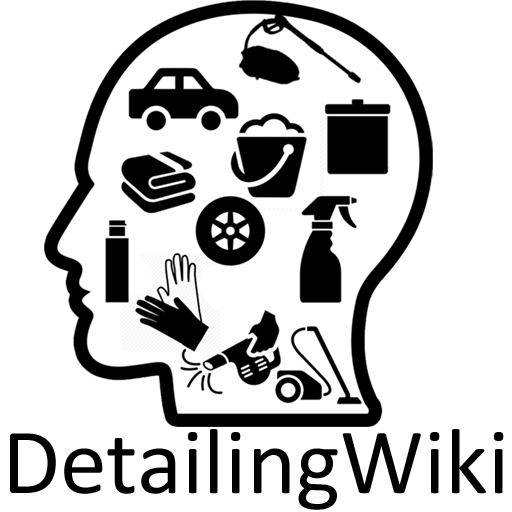 It is all about the active ingredients inside the chemical make up. The thickness of the foam is not an indication of a better working foam. A low-foaming product can be just as effective in cleaning. More foam often just mean that it contains more surfactants. Don’t forget that the volume of the foam are parts of the product that are not touching the paintwork. The only part of the foam that is actively doing a job, is the part of the foam that touches the surface. After snowfoam has loosened up dirt and is rinsed off, the surface still needs to be washed mechanically. Although snowfoam often has very good cleaning power, it doesn’t remove all the dirt. There will still be contaminants on the surface. By washing it with a washmitt or sponge, you will remove the last bit of dirt. There are special foam-sprayers on the market, but none work as good as a pressure washer. However, sometimes there is no power-outlet close-by or the owner doesn’t own a pressure washer. When applying snowfoam with a pressure washer, you need a special attachment. The special attachment combines water with the snowfoam-soep in a certain ratio. This combination is then forced through a metal filter which causes it to foam. The foam is then sprayed on the surface that needs to be cleaned. Snowfoam should not be used as a car-shampoo. Snowfoam is designed to be sprayed on the surface and left to dwell. It doesn’t contain any ingredients that make the washmitt slide more easily over the surface, and it doesn’t contain the same ingredients that help it to lift the dirt. However, some shampoo’s also work great as a snowfoam, but not all! Snowfoam derives its name from the white colored foam that covers the surface it is sprayed on. Some snowfoams can stay foamy for several minutes. Snowfoam is available in a few different types, decontaminating foam, cleaning foam and deep cleaning foam. Decontaminating foam is normal snowfoam that contains ingredients to loosen up tar and/or iron fallout. It combines the power to clean with the power to remove certain contaminants that are difficult to remove. 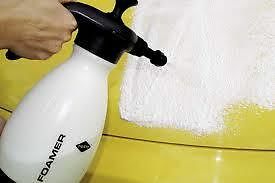 Cleaning foam is the most common snowfoam, which is designed to loosen up general dirt and grime. It doesn’t hurt wax, sealants or other protective products. Deep cleaning foam is a lot stronger then other foams and will remove all contaminants from the surface. It will remove “traffic film”, grime and almost all contaminants (however, it doesn’t always remove tar and/or iron fallout). because it is so strong, it will actually also remove most wax and sealants and can negatively affect coatings.